The Typhoons are here! Filipinos better be prepared or they will be cursed with darkness. It’s a safe bet to say that our motto should be the Boyscout’s Laging Handa before a disaster hits. We are now firmly in the typhoon season and our solar panels priced in the Philippines in the form of Solar Portables just got smaller, cheaper, and filled with essential functions to get you going. Every year, we are coming up with new and improved designs for disaster preparedness kits and making complete systems that can fit in a backpack or a well-prepared emergency kit. After all, we offer Solaric solutions for all sizes and this is something that is universally looked for: the means of communication and light after a disaster. Works as a power bank to keep your phones charged as our “smart phones” cannot even seem to last a day these days. Solar charged (of course) so it can keep on going indefinitely. Bawal Brownout. It has 3 lights to keep you or your family lit in times of darkness. The first one is built-in, while the other two is used for you to personalize your space. 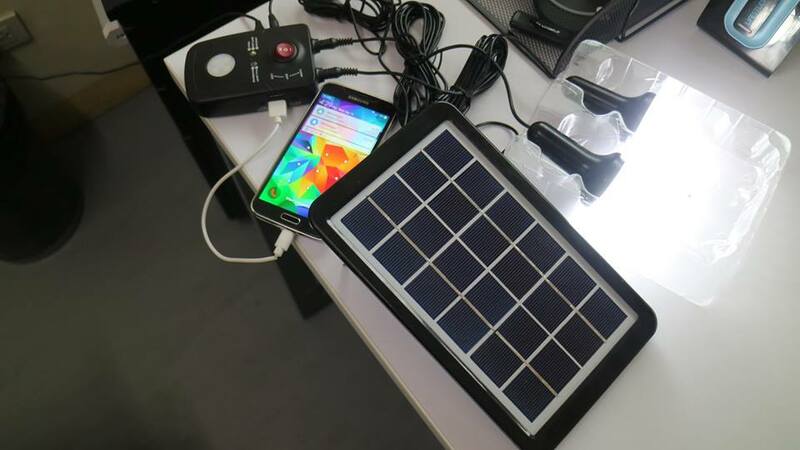 This comes with two separate LED bulbs to keep your room or tent lit up; take note that it has a 3W solar panel priced in the Philippines and a main unit that has its own LED flashlight with 2 1A USB ports. It can also be charged with a micro USB charger, which is found almost anywhere. From our experience after Typhoon Yolanda in Tacloban, the first 12 Watt hours provides the most benefits for a survivor as communication is dependent on how much cell phone battery you have while lighting depends on how much batteries you got. In layman’s speak it’s enough energy to get your cell phone working and yet have some more for lights at night. We operated for 6 weeks in post-Yolanda Tacloban so we know a thing or two about electrical apocalypse living. Sometimes, power won’t come back for days or months, if a super typhoon wrecks your home/province. Endless charging even with a diminutive 3W panel will give the user power, long after your sari-sari store ran out of candles and batteries. 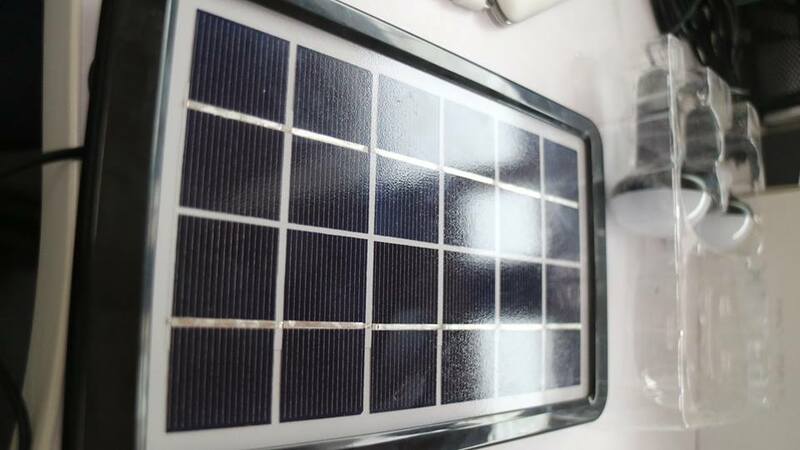 At Solaric, we design things to last, and this LiTe has built-in Lithium Ion batteries that could be recharged hundreds of times. We give a ONE year warranty on this product. The only maintenance it requires is that you at least remember to charge it every three months or simply use it plugged into a cellphone charger. The cost of this item is P1500 each, P1350 for 2 or more orders, or P1200 for 6 or more orders. Our dealers and NGOs buy this by the case as they are assured of a quality product that is field tested and backed by our no-nonsense warranty. The Solaric LiTe makes a good addition to any home emergency kit as working cellphones and lights are essential survival tools. Our LiTes are found as raffle tables in our Solar 101 and 202 seminars. We did find a very similar product being sold at the mall for P3500+. 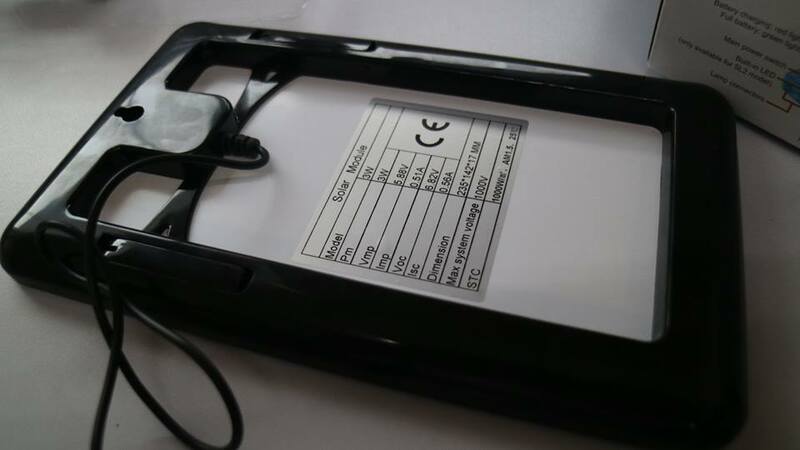 This is a high quality solar product that is using real rated batteries and solid design logic. There may be cheaper imitations but nothing like this for the price. If you want to buy one, please call us at 5040092 or at 09178603141 (Globe). You may email us at info@solaric.com.ph. You may pick up at our Makati office in JP Rizal between Rockwell and EDSA beside Caltex Gas station.